I don't know about you, but I'm pretty excited about the SOCHI Olympics this year. I have been watching the Olympics since I was a little girl. I remember coming home from school and sitting in front of the TV watching with my siblings, parents and grandparents. Was such a wonderful tradition and I love that we get to continue watching them, now with my own family. Now that I've been living in Canada over the last eight years, this is my home and I try and represent it as best as I can. I'm very excited to see how well Canada will do this year. Last year we got together a couple of times with our family over dinner and drinks watching some of the Olympics, I can't wait to do that again this year. 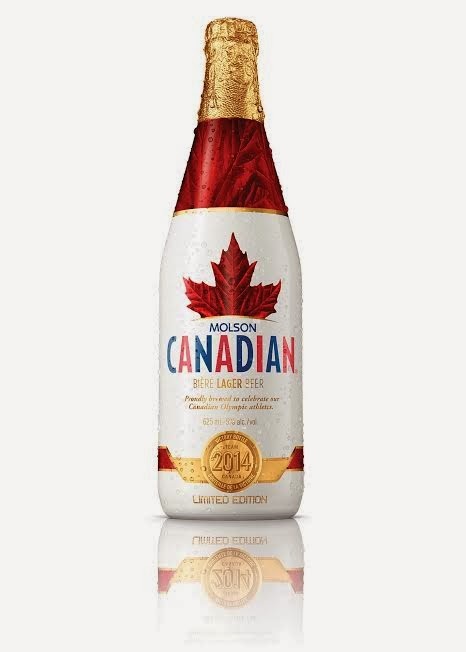 Lucky for all of us out here in Canada, we'll be able to celebrate the same way our athletes did in Vancouver since for the first time ever Molson Canadian is making their Victory Bottles available for Canadians to purchase all over Canada. How awesome is that?! These bottles are the exact replica of the 3 liter bottle that was presented to our athletes in Vancouver, only these are a bit smaller being only 625ml. They are available throughout retailers in Canada and the prices vary depending on the province you're in. Be sure to get one while you can as these are only being sold throughout through January and February! Did you know that more than a third (34%) of Canadian hockey fans surveyed and plan to give up sleep and 7% plan to call in sick or to skip work to catch key Olympic Hockey Games in Sochi, that's dedication! When we see our athletes atop an Olympic Podium it brings our country together like few things can (1/3 of Canadians will cry or get choked up if we win a Gold Medal this year). 62% of Canadians say hockey will be their highlight of the Sochi Olympic Winter Games. I'm super excited to watch this year's Olympics and although I would love to offer one of you lovely Canadian readers a chance at winning one of these Victory Bottles, I can't. I can however offer you some Canadian Swag to show off your Canadian pride! 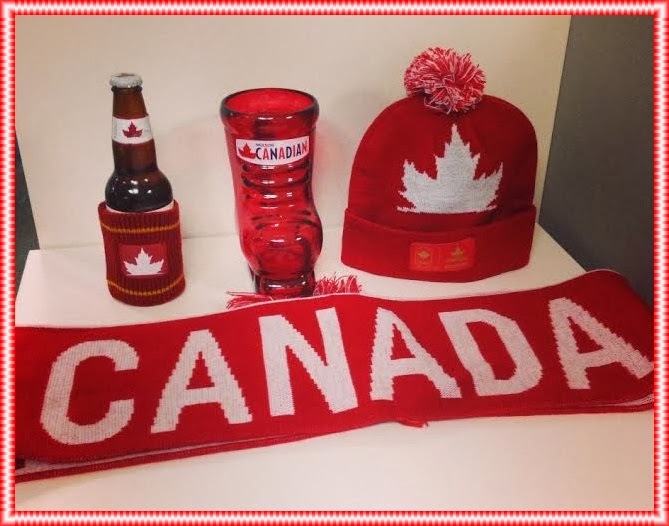 Molson Canadian is offering one lucky Canadian winner a chance at winning some Molson Canadian Swag. Check out this amazing video from Molson Canadian. I nearly teared up seeing how happy these friends were to be reunited.